Home » Broadband » What sort of drone regulations should we expect for Zimbabwe? There are two things you don’t want to see being made; laws and sausages. Pretty cliche right, but there’s so much truth in there. there are so many nasty things that go into some processes that you wouldn’t want to see it all happening, from compromises to adaptations of earlier work that seems relevant in another context. One piece of legislation that is set to be drafted in Zimbabwe relates to Unmanned Aerial Vehicles or drones as most people know them as. 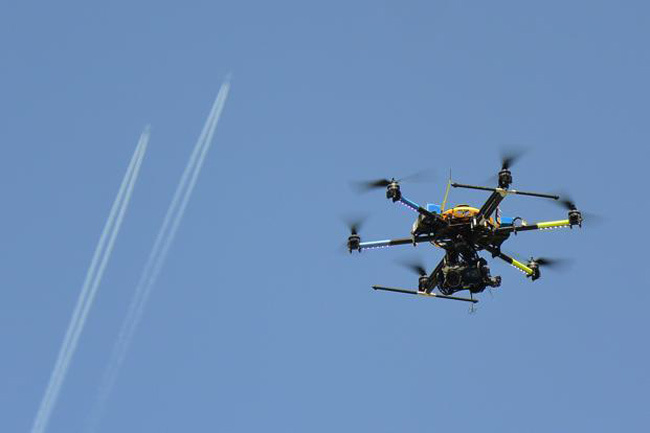 A month ago we mentioned how people from the Civil Aviation Authority of Zimbabwe had shared some information on how they want to regularise drone tech in Zimbabwe. This was later substantiated by the adverts that we’ve seen in different forms of media, urging Zimbabweans in possession of drones to come forward and register their UAVs. There’s nothing sinister here; CAAZ just wants to monitor a form of technology that might seem fairly innocent, but has the potential of being used inappropriately. I think its noble that they are doing this, however, I’m not warmed at the thought of what sort of laws they are going to bring forward. This drone issue falls under the Ministry for Transport’s purview, but it’s safe to assume that the Ministry of Defence and the Ministry of ICT are being consulted in this. There are countless considerations because of this, and there’s bound to be a lot of back and forth regarding what works for Zimbabwe and what doesn’t. While we don’t want to be sucked into this dialogue, the recently gazetted South African drone regulations are a good indicator of what’s to come. There has been outcry from a lot of people affected by the new laws, and legal experts have pointed out how stringent some aspects of these new drone regulations are. The full list of regulations carries a lot more detail, and more regulations, but I’m sure you get an idea of what is considered here. There’s no way of telling whether our regulations will mirror most or all of the regulations from across the border, but with such a tough act being thrown around just before our own team gets down to drafting its own set, you can be sure there’s some stuff that will catch their eye here. We’ve gotten of glimpse of what we can expect, largely because drone technology, just like most other forms of tech have a way of rubbing lawmakers or the creators of regulations the wrong way. It’s almost as if fear of the unknown always feeds into the process more than anything else. Maybe CAAZ and whoever is involved will do things differently, but I’m not betting on that. who sells drones in zim? True, fear remains the greatest threat to endeavor. If we make the laws liberal we will probably end up being leaders in this industry in Southern Africa. Its just my thoughts. The moment you start using the word Drone then most people will fear it as something lethal. Drone is a name usually associated with lethality in military applications. The most commonly used word for civilian application such as in Agriculture, Environment, land surveying, construction activity and urban planning is a light weight Unmanned Aerial Vehicle(UAV). So please try to use the acronym UAV instead of a Drone, I suggest. lol. yea they’re just going to copy.. I hope I’m wrong but honestly, I expect this sector will be regulated into a still birth. whats the difference between a remote controlled toy plane and a drone? Where are these drones sold?